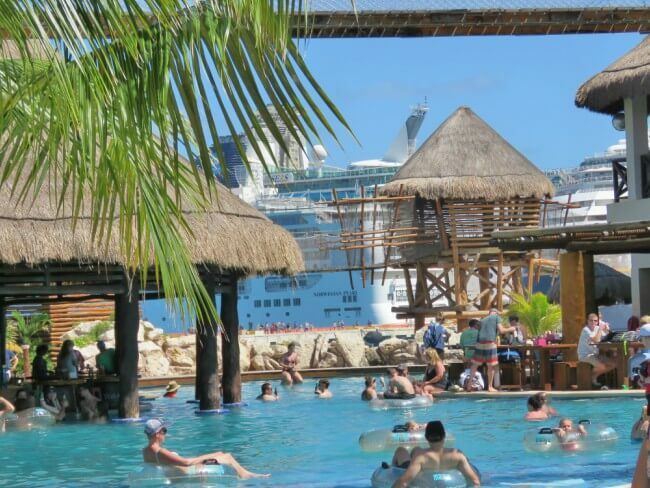 If you take a Western Caribbean cruise, then you will likely dock in Costa Maya, Mexico. 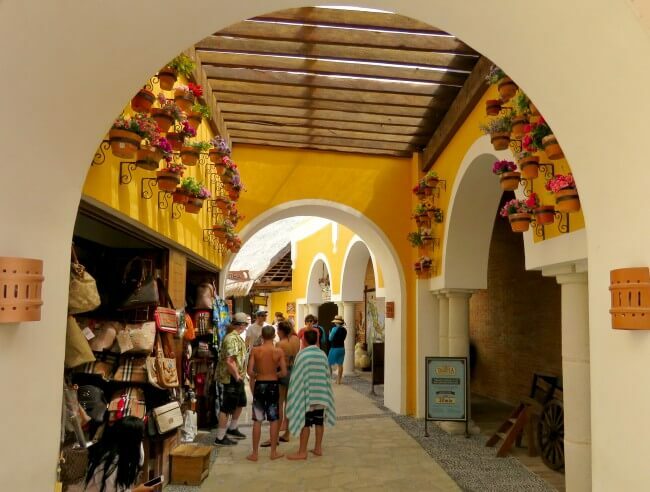 Costa Maya has a rich history dating all the way back to ….2001? That’s right. Developers built it specifically for cruise liners. And, It has worked! 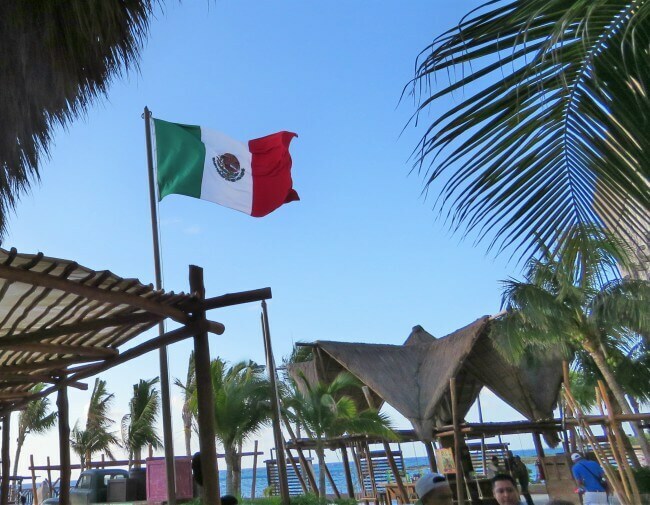 You will not find an authentic Mexican experience at Costa Maya, but you can get to several while there. 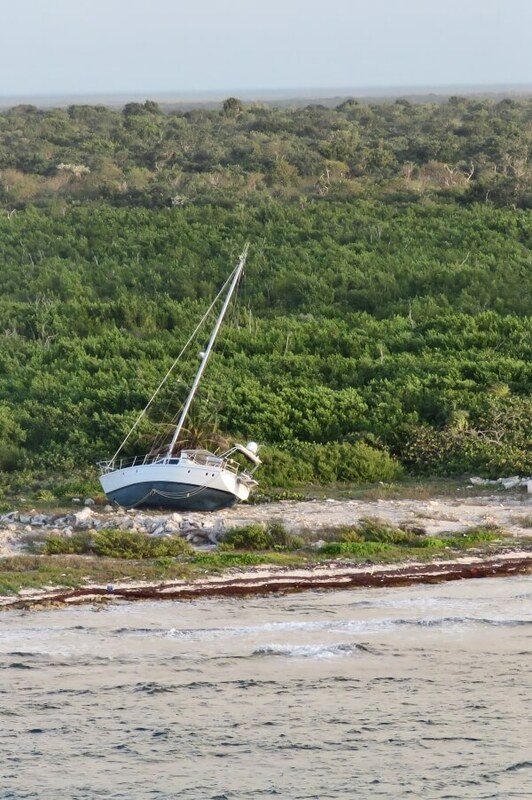 A short taxi ride takes you to Mahahual. This small town has a beautiful beach and still retains some local charm. It is quickly becoming more commercial. 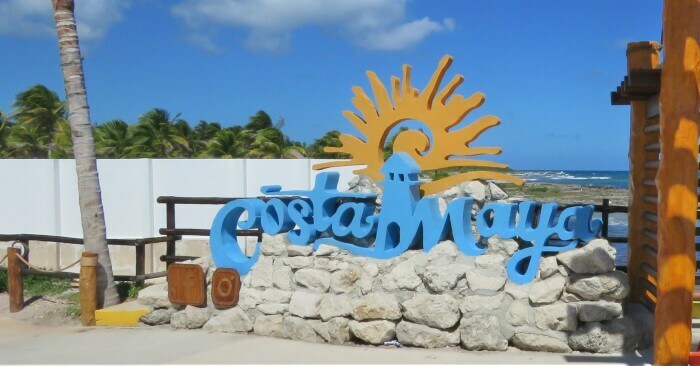 The same developers who created Costa Maya also invested in constructing a beautiful beach front walk in Mahahual. 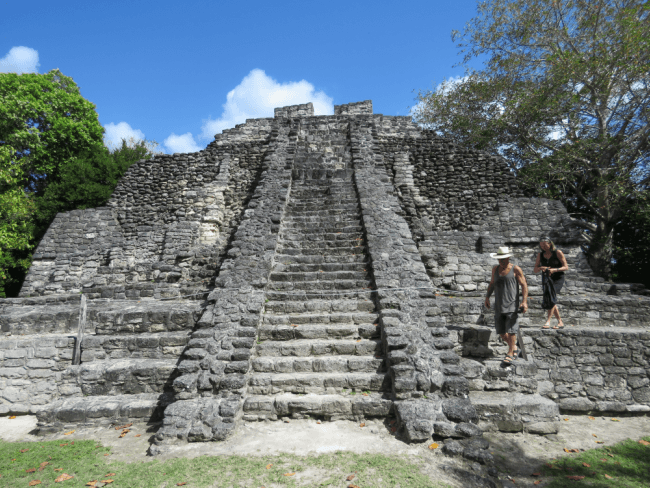 Tours take you inland to visit fabulous Mayan ruins at Chacchoben or Kahunlich. 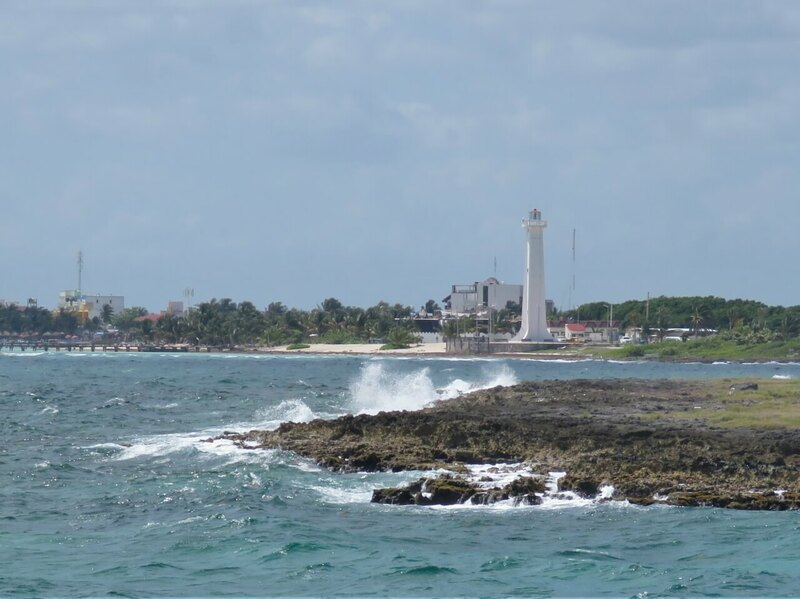 On at least one of your cruises to Costa Maya, you need to experience one of these. They are not to be missed. 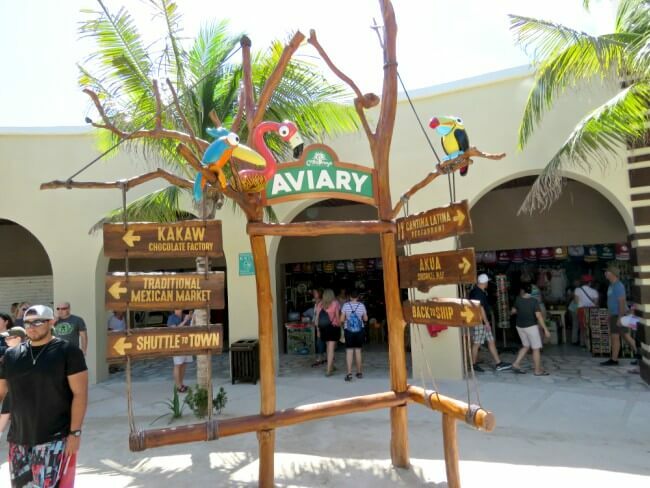 Costa Maya itself is a typical Caribbean cruise shopping district. The entertainment options are amped up, though. 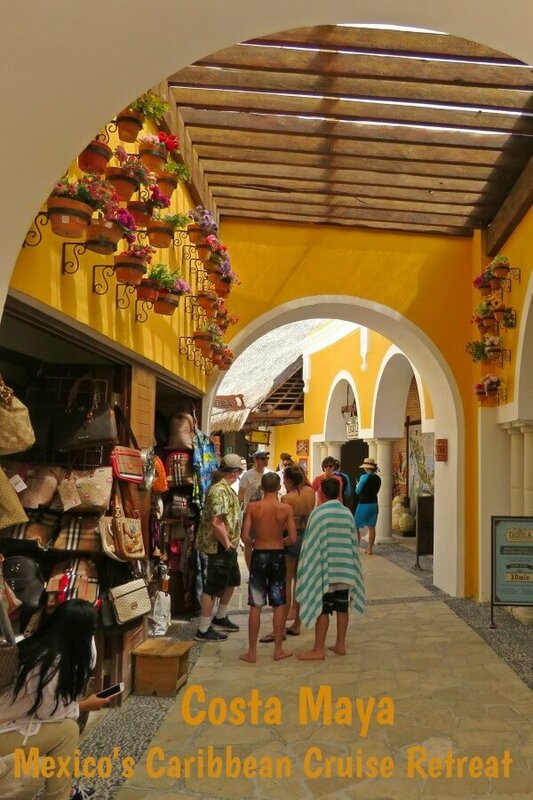 You will find the typical duty free shopping: jewelry, sunglasses, crafts. 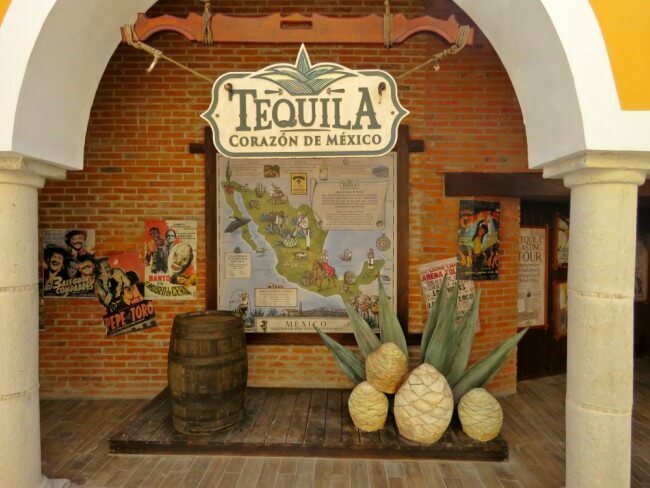 Costa Maya presents Mexican ambience, though with music, architecture, details, and tequila aplenty. Multiple shops sell distinctly Mexican souvenirs and gifts. On top of this, a large pool anchors the port. Waitresses wander the border selling cerveza and tropical drinks. In a plaza in front of a Starbucks, loin cloth clad men climbed and balanced atop a 20 foot tall pole! A day here is like you have mixed a cruise port and a inclusive resort. Will this bore your children? Then Maya Park is the answer. 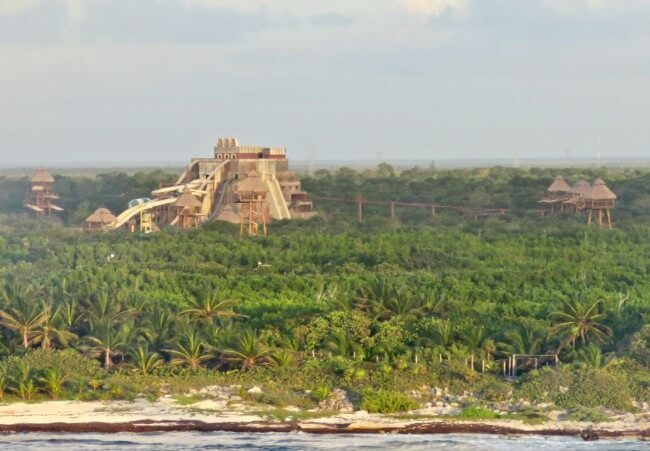 Themed as a lost Mayan Kingdom, water slides, zip lines, and a lazy river provide hours of fun. Drive Jeeps, dune buggies, or ATVs through the jungle and along the beaches. Friends who did this had a blast. Ride Wahoo!, a high speed rocket boat. Snorkeling, scuba diving, and catamaran trips can all be booked. When cruise ships sail out of port, the town shuts down. Our tour guide to Chacchoben Mayan Ruins told us that Costa Maya becomes a ghost town when ships are not docked. Almost no one lives here permanently. Most live in apartments on work days and then leave. She lives in a town about 2 hours away. Our bus driver lives in Cancun, 4 hours away. 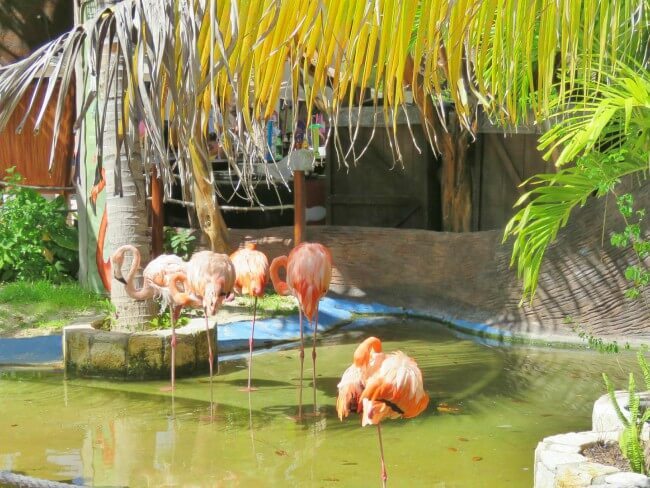 Costa Maya has something for everyone. Do you want to lounge on a beach? Shop? Tour historical sites? Snorkel or dive? Do adventure sports? Eat, drink, and be merry? Cost Maya has you covered. 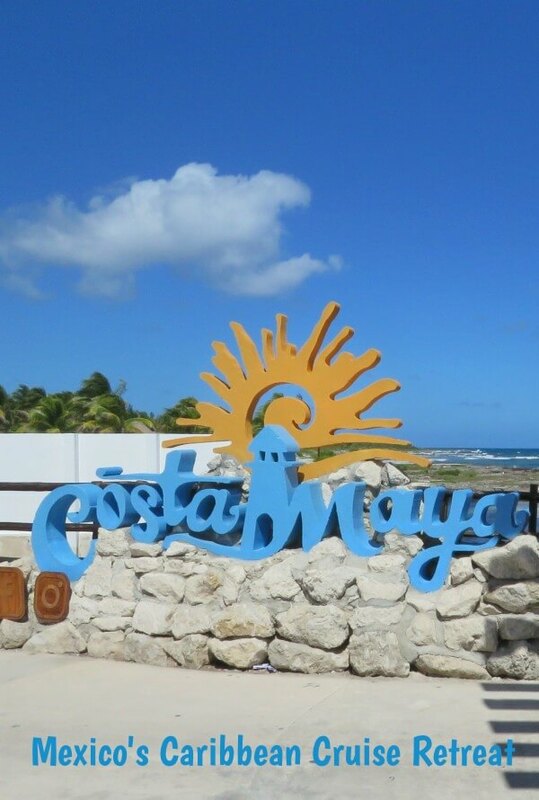 Now, when you see Costa Maya listed on your cruise itinerary, you will know what expect. It may not be authentic, but it is certainly fun for all.